ASP Integrated Training Hat, Tan – ASP, Inc. 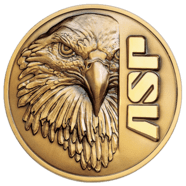 The ASP Eagle insignia is recognized worldwide as a symbol of uncompromising quality and field proven performance. It represents a universal commitment to excellence. ASP signature products identify those who share this philosophy.